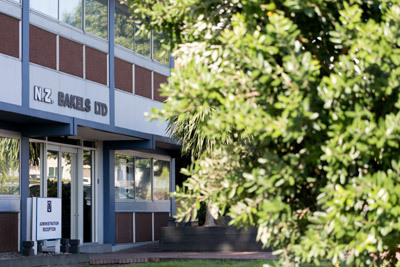 New Zealand Bakels is the sole sponsor of the Supreme Pie Awards. The first Pie Awards was in 1996. Established to help the Baking industry to keep on constantly improving and innovating, the Bakels Supreme Pie Awards has now grown to around 600 entries and has become one of New Zealand’s most popular and prestigious food competitions. In July judging takes place at Bakels. Experienced baking industry experts are joined by a celebrity judge to blind judge pies in 12 categories. Gold medal winners from 11 of the 12 categories are then in contention for the Supreme Award. Presentations and celebrations take place a week after the judging day at an Awards night where all finalists are invited to attend.